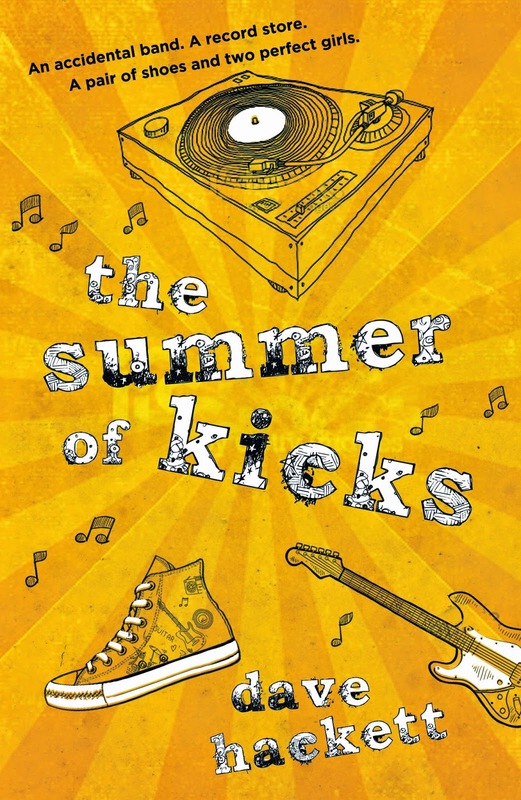 Kids' Book Review is delighted to welcome the irrepressible Dave Hackett, who has recently released two books including a great YA novel, The Summer of Kicks. 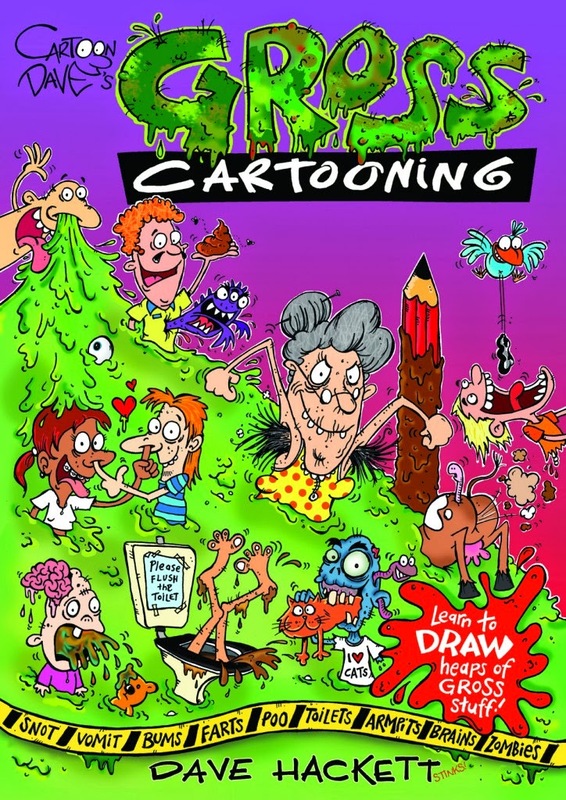 You are best known for your cartoons and humorous junior fiction stories. What inspired you to venture into writing a young adult novel? I really wanted to write something with a lot of heart this time around. I was essentially looking to create a story that was character-focussed, to throw myself the challenge of creating characters who were human and real with likeable qualities and faults and honest feelings, and YA allows a lot of room for that, because those years – the back half of your teens – are such a huge time of growth and learning and discovery and mistakes and awesomeness. As Bryan Adams once said “those were the best days of my life”. (I don’t actually subscribe to his way of thinking on that, however. Your best days are the ones where you allow yourself to be happy. Wisdom lesson over). Was the writing process for Summer of Kicks different to the way you usually approach writing a manuscript? What did you find most challenging about the process? What was the most rewarding? I hadn’t actually made the distinction until now, but with each novel I’ve written, I’ve had one spot – that one place that really seems to channel the right mix of energy to allow me to string words together that just seem to fit. It turns out that my geographical muse this time around was my walk-in wardrobe at around 4am. Picture me seated on the floor, my laptop balancing on a pile of jumpers, I’m surrounded by cushions, darkness and silence. Nothing but me and my characters. Pure bliss. As for the actual structuring of the book, yes – The Summer of Kicks isn’t the longest book I’ve written, but it by far took the longest to write. It sat with me for six or eight months, swirling around in my head before it allowed me to start writing it (they can do that – I tried a few times, but the story wasn’t ready. It needed time for the ingredients to bond together, to form a solid, cohesive batter before I was able to knead it into something that would eventually be digestable). There was a lot more planning by way of structure and timelining all the events, this time around. I wrote most of the scenes separately, then had to try to piece them all together at the end so that they fit and made sense. For months I carried around a folder filled with flow-charts and character lists, each with their own storylines mapped out. Soooo organised, haha. Music plays a significant role in The Summer of Kicks and there are frequent references to songs and bands throughout the novel. Why did you choose to make music such a large focus of the story? Do Starrphyre’s musical interests reflect your own musical tastes? If you were to (hypothetically) chop me up into all the parts that come together to make me who I am – the writing part, the drawing part, the super-handsome part, etc, – the music part would be a fairly significantly sized chunk. I guess that I really discovered music properly as a teenager, in the way that I started to dig a little deeper than just what was playing on the radio, and I wanted to bring that strong bond, that real connection with music to the story. Music was always with me as a teenager. It inspired me, excited me, brought me hope and it still does – I love to dig up a new band that nobody I know is listening to, or unearth an old fave’s back catalogue to see what else they had up their sleeve. So very cool. Starrphyre and his friends are in their final years of high school in The Summer of Kicks. How did you ensure that the characters in the story were believable and relevant to teen readers? Did you draw on any of your own high school experiences? I loved crawling back inside my head to when I was sixteen or seventeen and having my own experiences with girls, and as I looked back, I made sure that I got right up close – paid attention to the tiny details that are easy to overlook: the way I stood, what I thought, how I felt and how I reacted in certain situations. Plus our eldest son is seventeen, and I made sure I ran a few sections of the dialogue past him, just to get the green light from an actual teenaged human. #yolo, right? It’s unusual to have a YA novel with a male central character where the story focuses on relationships rather than action or adventure. Was there a reason that you chose to have a male protagonist for this story? Do you think the story is relevant for male and female readers? It’s fairly relationship focussed, and initially that was my goal – to write a romance from a sixteen year old guy’s perspective. Me personally, I’m not your stereotypical football-hero type – I’ve always been a little more on the artistic-sensitive-understanding side of the fence – and I really felt that it was important to represent that kind of character; to show both male and female readers that to be a young guy interested in girls, being a boofy, neanderthal chunk-head isn’t your only option, that there are times when being understanding (and maybe a little humorous) will be everything you need. On your website you have a video tutorial on how to draw farts and your bio mentions the made-up fact that your real name is Kevin Monkeypants, so it isn’t all that surprising that The Summer of Kicks has a lot of light-hearted humour within the story. It also deals with some significant teen issues, particularly teen friendships and sexual relationships. How did you find the balance between humour and allowing the characters to have more serious moments? With the novels I wrote before The Summer of Kicks, my focus was fairly heavily on the comedy. Lots of crazy situations, lots of laughs, etc. But it’s interesting, because when I think of this book as a whole, to me I know the humour’s there, but I very much see it as a serious story with funny bits, rather than a funny book with serious bits. But it could go either way, haha. The issues the characters face were all very carefully planned. I wanted each of them to be represented, and spent most of my planning and writing time focussed on how the characters would get through the situations, whereas the humour just kind of happens when I write. It’s more of a natural, unscripted part, and I suppose that’s why the ‘issues’ stand out to me more than the comedy – because they were my primary focus while I was writing. Oh, and Kevin Monkeypants – that’s totally true. Do you have plans for any more YA novels?